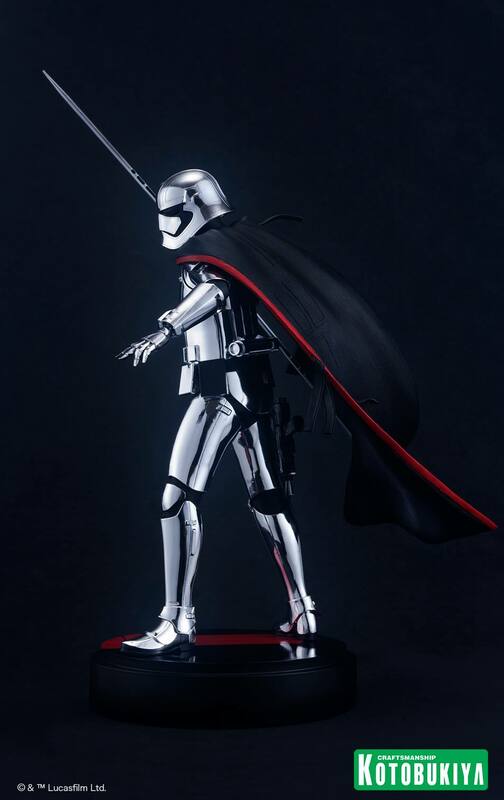 Kotobukiya has opened up pre-orders for their upcoming Star Wars: The Last Jedi – Captain Phasma ARTFX Statue. This is a 1/6 1/7 scale statue that will stand over 16.5″ tall. They have used a special metal plating to recreate the high gloss armor that she wears in the film. 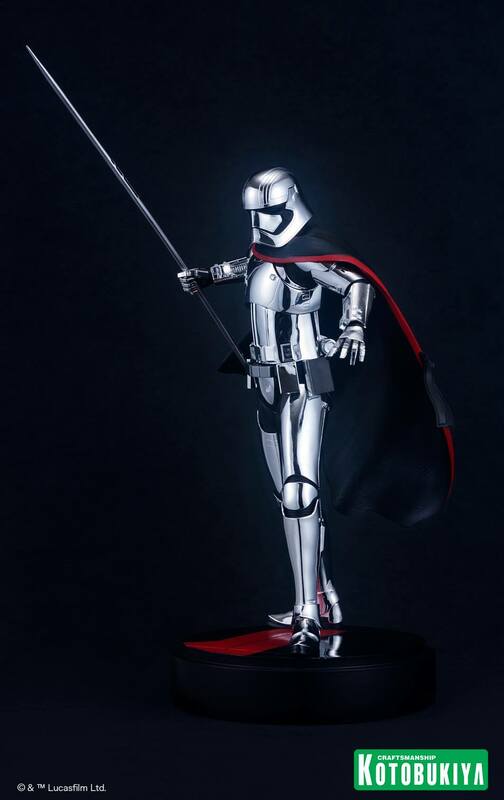 Captain Phasma includes her spear from the film and will include a display base. The statue is priced at $169.99 with a release set between October and November. You can pre-order the statue Here. 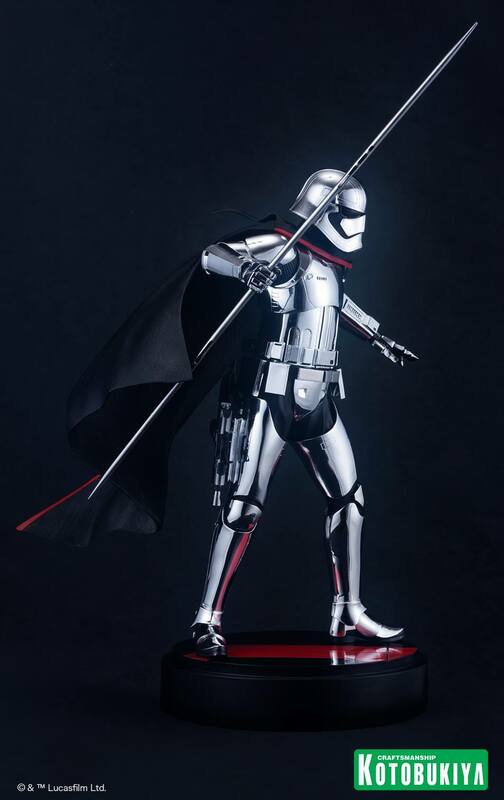 One of the most visually distinctive troopers from the entire Star Wars saga is getting an upgrade from Kotobukiya, having appeared previously as an ARTFX+ Statue and now joining the elite ranks of the 1/7th scale ARTFX series. 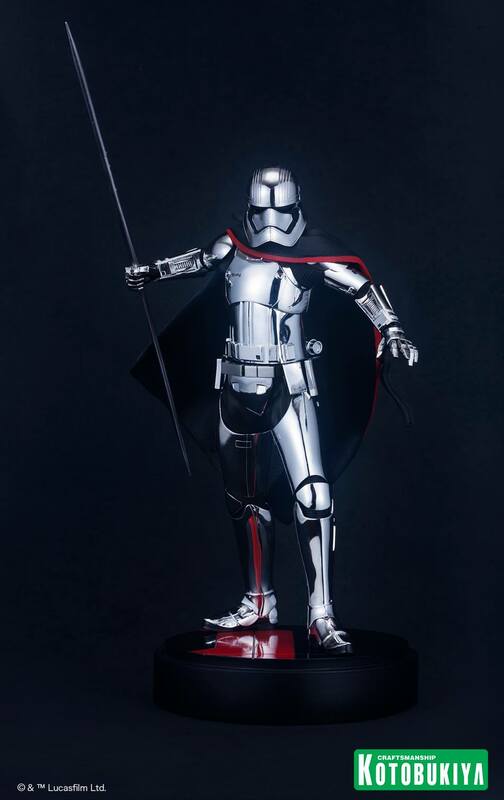 Debuting in Star Wars Episode VII: The ForceAwakens as a leader of First Order Stormtroopers and returning to punish the traitor FN-2187 in TheLast Jedi is the sleek and stylish CAPTAIN PHASMA! Played by actress Gwendoline Christie, the captain is a commanding officer in the First Order approximately three decades after the Battle of Endor and the death of Emperor Palpatine. She survived the destruction of Starkiller Base and continued to hunt down the Resistance under the ultimate command of General Hux and Supreme Leader Snoke, even supervising the attempted execution of Finn and Rose aboard the Star Destroyer Supremacy. 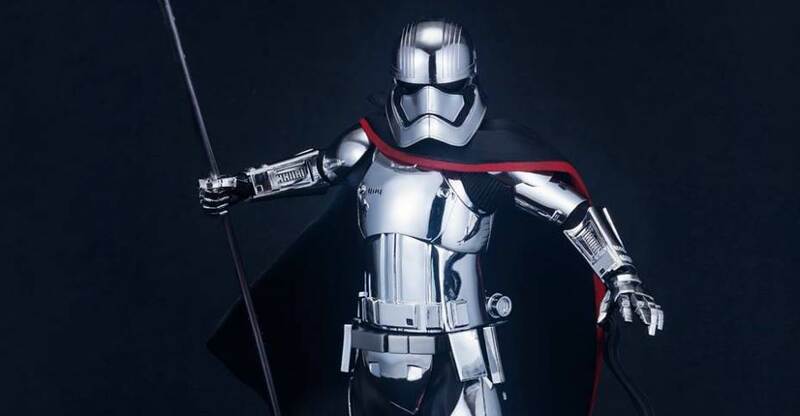 Captain Phasma advances menacingly, ready to crush anyone in the way of the First Order! She stands in a powerful pose, stepping forward with her head down, one hand leading the way in front of her, and the other stretched out behind her holding a wicked spear. The Captain wears her iconic Chromium Stormtrooper armor, replicated here with a special metal plating polished to a mirror sheen. Her armor is intricately detailed and features a belt with utility items, panels and decorations, and even a matching silver blaster attached to her right thigh; meanwhile, a long black cape edged in red billows out behind her making her look even more intimidating! 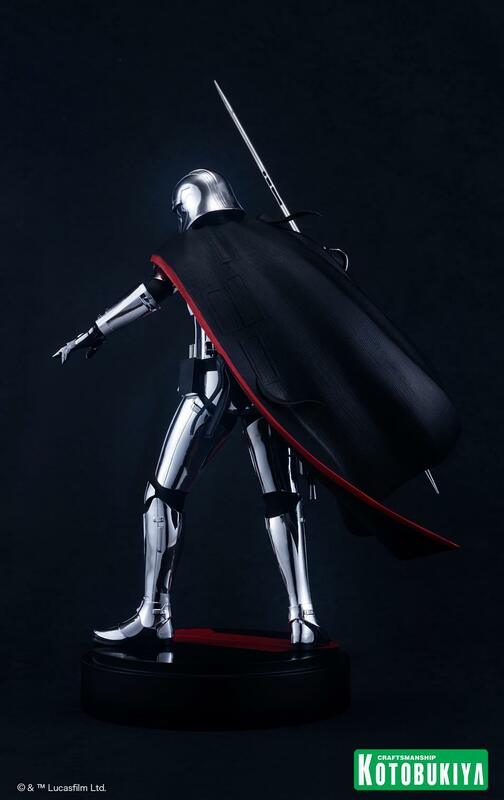 Captain Phasma towers 16 ½ inches (1/6 scale) perpetually striding forward on a beautiful black and red display base. Recruit this captain to a position of power in your Star Wars collection! This was mistakenly listed as a 1/6 scale statue. Kotobukiya updated the details revealing it to be a 1/7 scale statue. Figured they'd just do a TLJ-specific artfx+ so this is very cool and unexpected. According to Kotobukiya, they mistakenly listed it at 1/6 but, its actually 1/7 scale. Looks like Koto cancelled this...got an email telling me it's not going to be produced.